Let’s be honest, decorating a nursery is a major highlight of any pregnancy and coordinating soft furnishings is surprisingly important when you are waiting for baby to arrive. 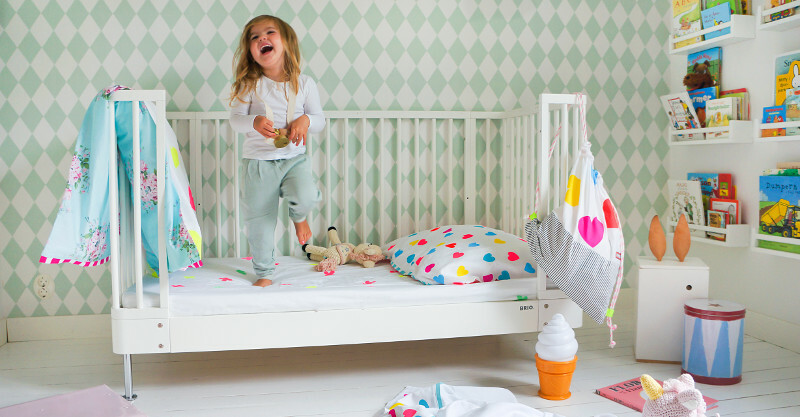 If you take your nursery design seriously then here is a must-read post with all our favourite nursery and bedroom linen all in one place. 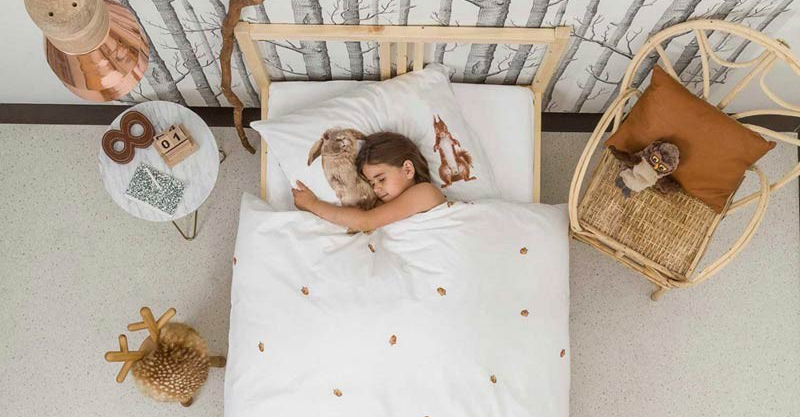 Kicking us off are the original, hand screen printed bedding designs of Burrow & Be (pictured above). 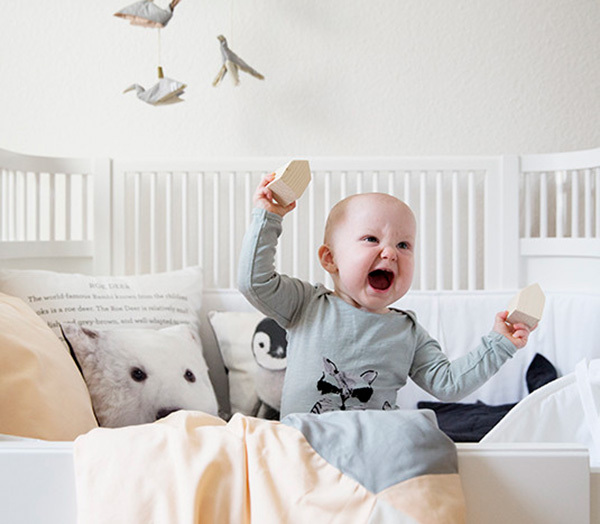 Based in New Zealand, Burrow & Be are all about monochromatic designs that are sleek and stylish and perfect for toddlers graduating out of the cot. The Charmtroll Collection from Ikea is terrific in taupe. If you are looking for a neutral collection that is incredible value than scroll no further. 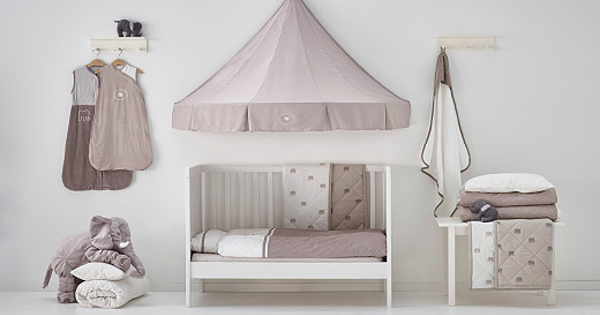 All pieces in the collection are under $25 and include options like baby sleeping bags and a coordinating bed canopy that adds interest and depth to the nursery. If ‘joy’ and ‘fun’ are the words inspiring your nursery design then you have reached your design mecca with Bramwell Designs. Bright and bold but balanced with lots of white, the designs from this Sunshine Coast based company are all designed in-house and printed on 100 per cent organic cotton. If you’ve ever been caught short with ill-fitting sheet sets that you’ve bought online then you can rest easy with sheets from Moonlit Sleep. 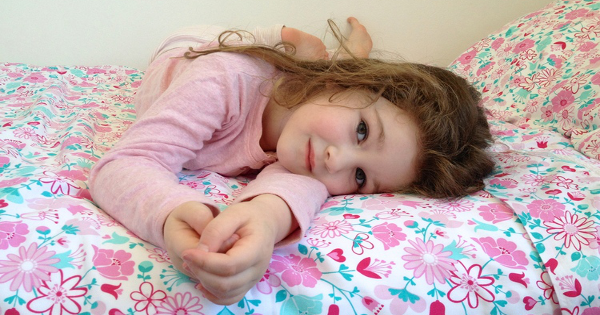 Designed specifically with Australian standard and Boori cots in mind, choose from three designs that little ones will love: Safari, Fairy Garden Floral, and Doll Picnic. How do you stick to a literary theme without being cheesy and predictable? 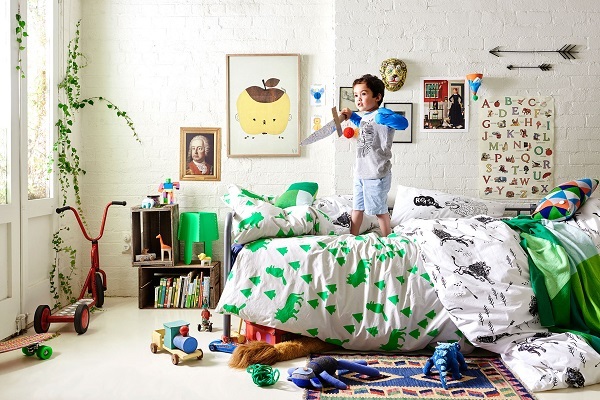 Try the bedding collection from Little Golden Books for Nod. This is a collaboration between Little Golden Books and Land of Nod that works on so many levels. It is all vintage charm and heirloom quality in a beautiful expression of bridging generations, old and new. Sophistication and artistic flair are the signature style of Dazed But Amazed. 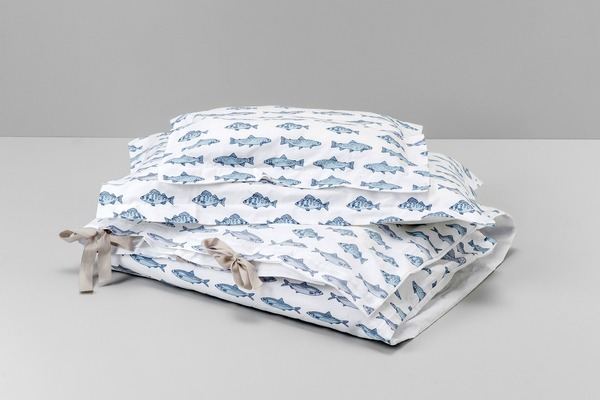 Hand-printed on 100 per cent linen in a series of limited edition designs, this bedding will only get better with time. 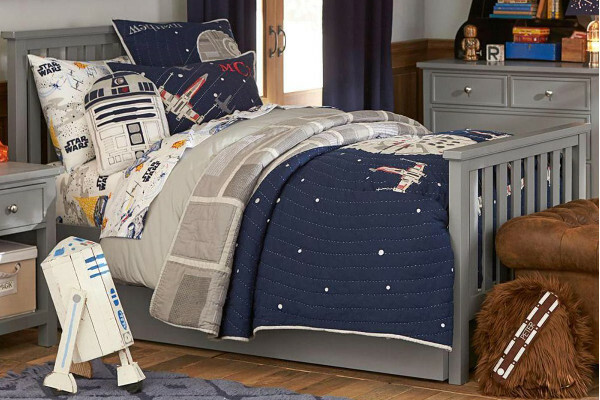 Here’s a Star Wars line of bedding that both mum and dad will approve of. Pottery Barn Kids has got the balance just right with fun sheet sets and stylish quilted bedding that is still on theme but toned down in a timeless fashion. The Youngsters is where it is at for hipsters-in-training. Graphic prints, geometric patterns and that all important mastery of the white space is the niche that The Youngsters has mastered and they’ve compiled all the best Scandinavian designs all in one place. Soft tones and sweet, quirky designs are the order of the day from French label Zu. 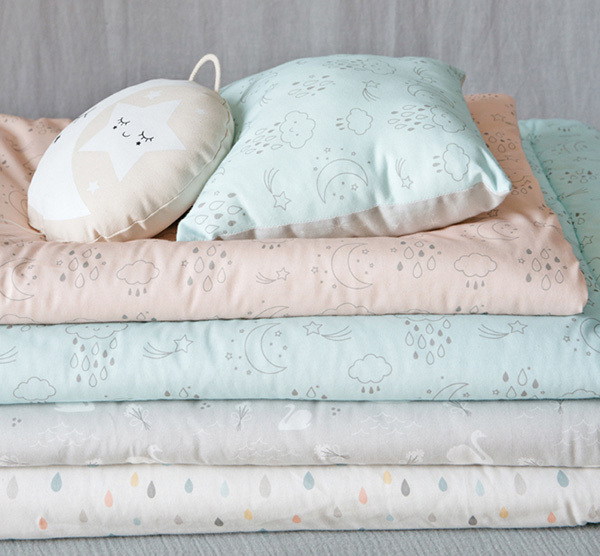 All designed in-house, this collection of swoon-worthy bedding is perfect for contemporary nurseries and bedrooms. With a divine range of baby sleeping bags and duvet sets, Garbo & Friends are a favourite when it comes to inspired Scandinavian design. Considerate of international markets, they offer bedding in both European and Swedish sizes for basket, toddler and junior sized beds. We’ve come to know DwellStudio for their divine bedding sets that make one-stop shopping a breeze. What isn’t so easy is deciding on a favourite collection. Boheme is hard to resist though, with this fresh take on colour for a girl’s room. 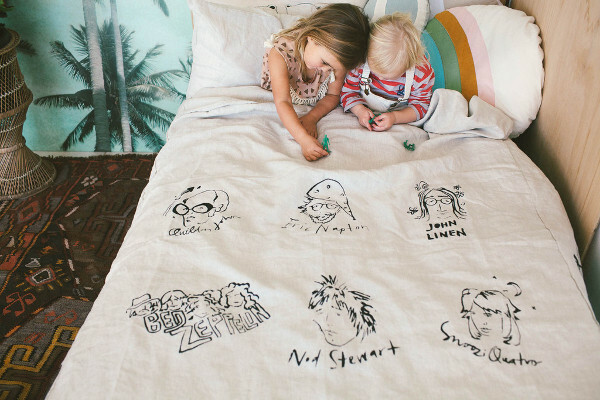 Little Yawn is another Australian brand that specialises in 100 per cent organic cotton bedlinen. They had me at the name – how adorable – but the fact that they feature local artists, designers and illustrators makes me want to support them even more. An added bonus is that their designs are completely dreamy. 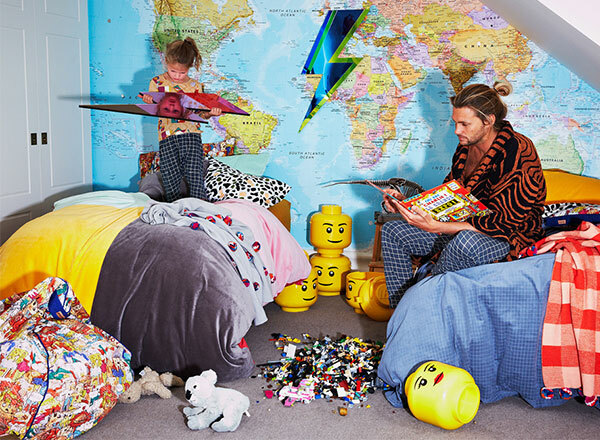 There’s no need to shy away from colour in the bedroom according to Kip & Co. Their eclectic collection of bold, bright and textured bedding is a feast for the senses and features reversible doona covers, brightly patterned pillowcases as well as velvet and quilted bedspreads. Wow! Last but not least is Snurk, fuelling dreamtime since 2008. Their signature look features pirates, firemen and princesses and now they have added furry friends, ballerinas and Star Wars favourite, Chewie, to the collection.